Banks all work differently when trying to sell their REO (bank-owned foreclosures) property, but they all have the same end goal: To sell the property quickly and try to get the best price they can. Like normal sellers, banks are not just going to give away money, they need to recoup their costs as well. That being said, when they bring a property to market, it is often after many months of holding and maintaining the property through the foreclosure process so they often prefer to get the property sold very quickly - which is why many foreclosures sell for a discounted price and can present opportunities to savvy buyers. 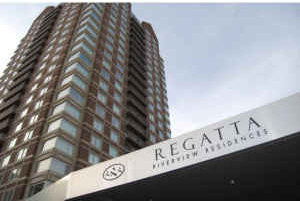 As an example of a foreclosure in the Boston area being listed at a discount to the market, we are just about to list a bank owned property at the Regatta Riverview Residences in Cambridge that literally has had a $110,000 price drop! It was last listed pre-foreclosure for $539,000 and the bank just gave us their new listing price of $430,000. Whatever the motivation is for them to get this property off their balance sheet, apparently the bank truly wants to "unload" this condo.